An American Civil Liberties Union lawyer asked a federal appeals court in San Francisco today to block a California law requiring police to collect a DNA sample from anyone arrested on suspicion of a felony. The law is part of a 2004 voter initiative that gradually expanded the categories of people in the criminal justice system from whom DNA is collected with cheek swabs. The four plaintiffs are challenging a provision that went into effect in 2009 and requires the DNA sampling from all felony arrestees, regardless of whether they are ever charged or convicted of a crime. They claim that section violates the U.S. Constitution’s Fourth Amendment ban on unreasonable searches and seizures. The case was heard by an 11-judge panel of the 9th U.S. Circuit Court of Appeals, which took the dispute under submission after more than an hour of arguments and will issue a ruling at a later date. The panel is reviewing a decision in which a smaller panel of the same court upheld the law by a 2-1 vote in February. Deputy California Attorney General Daniel Powell, defending the law, argued that what he termed to be a minimal intrusion on arrestees is outweighed by the public interest in identifying suspects and solving past crimes. “An arrestee does not have an interest in concealing his identity from police officers,” Powell told the court. The four plaintiffs, who filed their lawsuit in federal court in San Francisco in 2009, are from San Francisco, Berkeley and Sacramento and were forced to provide DNA after they were arrested. None were ever convicted of a crime; two who were arrested at demonstrations were never charged, and charges against the other two were dropped. They appealed to the 9th Circuit after U.S. District Judge Charles Breyer declined to grant a preliminary injunction blocking the law in 2009. After the smaller panel upheld the law in February, the plaintiffs appealed further to the 11-judge panel. Several judges at today’s hearing expressed concerns about the intrusiveness of the DNA collection, which can be used to reveal medical and genetic information. “That’s what bothers me,” said Judge Harry Pregerson. “An officer then and there decides a felony has been committed. Then you take the woman in there and her cheek is swabbed. That’s a terrible intrusion on personal privacy,” he said. But Judge Milan Smith, who wrote the smaller panel’s majority decision upholding the law, likened the DNA sampling to fingerprinting, which has been upheld by courts. “The police use fingerprints to investigate past crimes all the time, don’t they?” Smith asked Risher. Risher responded that courts have said that fingerprinting does not amount to a search under the terms of the Constitution. The ACLU contends that because DNA reveals a person’s entire genetic blueprint, the cheek swabs are far more intrusive than fingerprinting and qualify as searches that should be allowed only if authorities have a particular suspicion and a court-approved warrant. 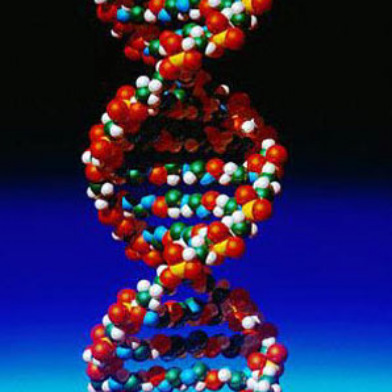 The plaintiffs are challenging only the collection of DNA from arrestees and do not oppose taking DNA when a person has been convicted of a crime or when prosecutors have obtained a search warrant. The 9th Circuit grants hearings before an expanded 11-judge panel, known as an en banc panel, for only about 20 cases per year that are considered to be of great constitutional significance. The side that loses the panel’s eventual ruling can appeal to the U.S. Supreme Court.